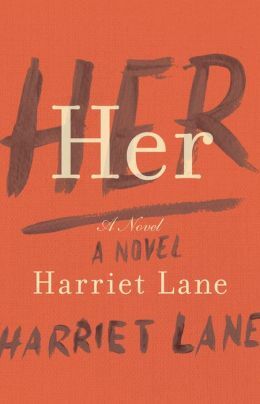 Harriet Lane’s suspenseful thriller – Her – uses an unlikable revengeful protagonist to methodically stalk her unknowing prey. The book is a page-turner: you will know early in the story who the victim, Emma, is and her past relationship to the sly Nina – but you will wonder exactly how far Nina will go to exact her revenge. The ending will have you holding your breath. As in her first book – Alys, Always – Lane focuses on the characters, slowly revealing the unlikely villain, until you are caught in the story and wanting to alert the poor target of the venom. In Her, Nina recognizes an old foe and carefully calculates how to exact revenge for something that happened so long ago that Emma doesn’t even remember it. Nina remains incognito as she slyly insinuates herself into Emma’s life – stealing her wallet and then pretending to have found it, luring her toddler into the woods and then alerting the police to his rescue. The chapters alternate between Emma and Nina, each relating the same incident, but from a different perspective – Nina, the stalker; Emma, the vulnerable target. A great read – not only for the comparison of the lives of two forty-year olds – one who wears Prada, the other stumbling through parenting a toddler and a newborn – but also for the intense psychological thrills as the story quickly progresses to a climax. Harriet Lane has mastered the art of the dangerous female protagonist; I can’t wait for her next one.